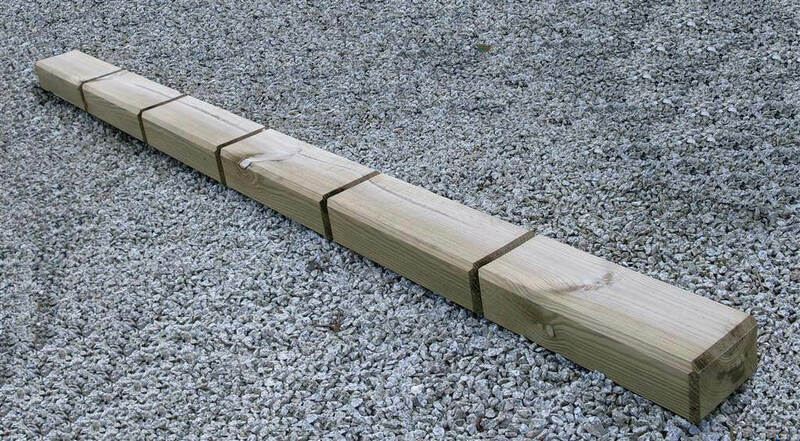 Grooved All Round Landscape Timber for use in garden walls of raised beds as a couple of project examples. The timber is 2.35m long by 90 x 140mm. Unique sleeper alternative. 25 year Jakcure guarantee. More information on Jakwall Timber retaining wall.